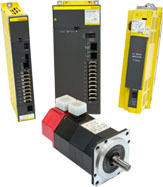 Repair Services for Servo Motors, Drives, Monitors and More! 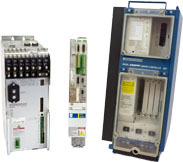 If your machine has Allen Bradley, Fanuc, Indramat, Modicon, or Siemens components, chances are we can repair it. We are well-versed, as a third party repair center, in these manufacturers. Whether it be servo motors, drives, amplifiers, power supply's, monitors, PLC's and more, trust us to repair it right and fully warranty what we do. Choose below to find out more information, or call one of our customer care specialists at 989-922-0043 to get a full report on how Repair Zone can help you!